'tis the season for vacationing! or as some of you fab european readers like to say 'go on holiday.' which i would totally appropriate but then how annoyingly affected would i be? 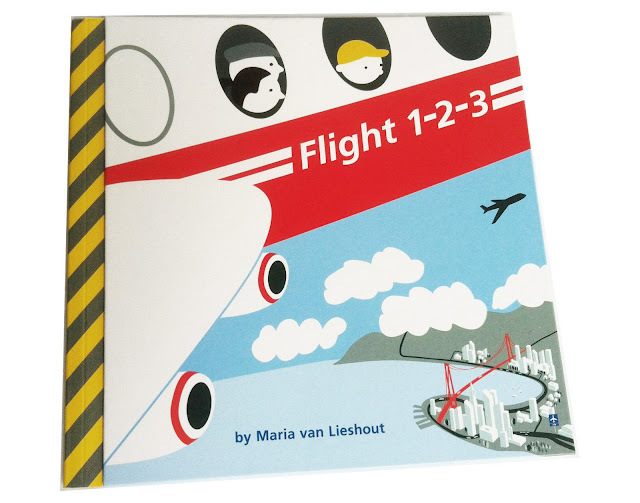 anyway, flight 1-2-3 (chronicle books, 2013) by maria van lieshout is a great book to take with you while traveling with kids who are toddler aged and up. flight 1-2-3 takes you on a journey through the airport, up in the air, and finally to your destination, focusing on the universal signs we see when we travel by air. the graphics are bold and simple, as good signage should be. 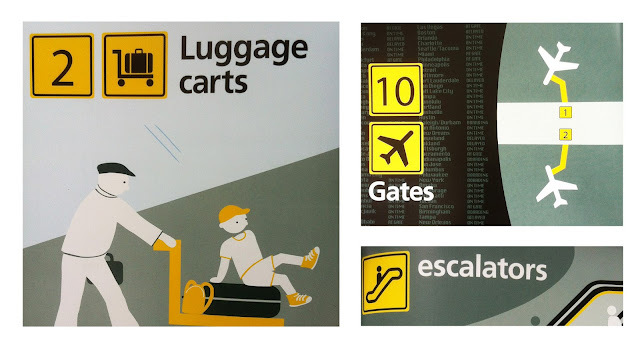 it's a lesson in looking and learning about the signs around us and is sure to keep your little one busy as you stroll through the airport and take off for your flight. buy flight 1-2-3 on books to coo about.